November is Prematurity Awareness Month. I have had several nieces and nephews who were born prematurely. One was a 32 weeker and after spending a month in the hospital he caught whopping cough 2 months later and was again hospitalized for weeks. So spreading awareness about prematurity is one dear to my heart, like so many others! These little ones struggle with health and developmental problems, including possible speech and language delays. those born prematurely can have vision and hearing problems, lung issues, developmental and/or intellectual delays, etc. The March of Dimes started the prematurity campaign and has wonderful information throughout their website including information about the campaign, facts about premature babies, annual reports about the progress their campaign is making in communities, ways to support the world prematurity day, etc. November 17th is World Prematurity Day. 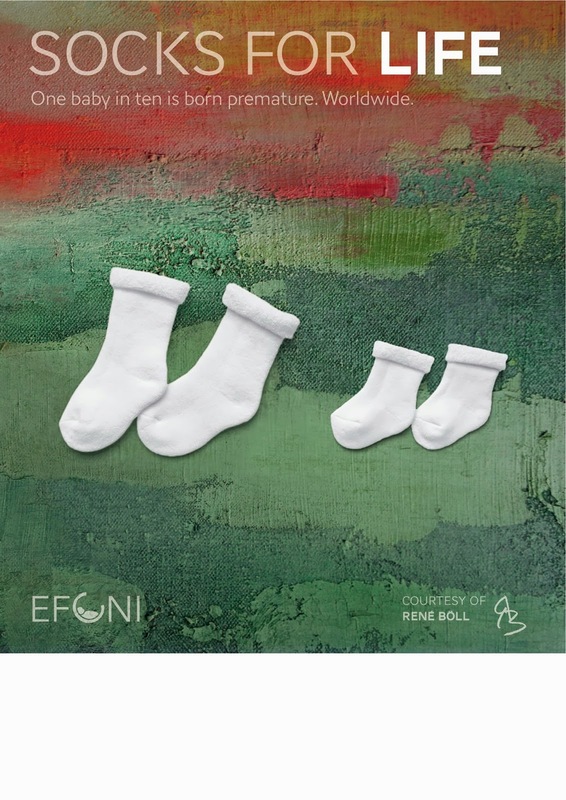 Socks for Life "is about promoting art activities which will create attention and awareness for preterm babies in Europe and Beyond." Check out their site for ways to promote awareness or fundraise for a specific project or organization. The National Premie Foundation also has some nice ways to get involved. Last, but not least, I just wanted to give a little information about Kangaroo Care. I'm always amazed when I talk with someone who has just had a baby, especially a premature baby, and they have never heard of Kangaroo Care. It is the first thing I recommend to parents of new babies! Kangaroo Care is amazing and helps babies regulate their body temps, helps with bonding, increases success and production for breastfeeding, regulates breathing, sleeping, and heart rate in baby, helps with weight gain... really the list goes on and on! Kangaroo Mother Care is a nice website dedicated to promoting use of Kangaroo Care! Check it out.